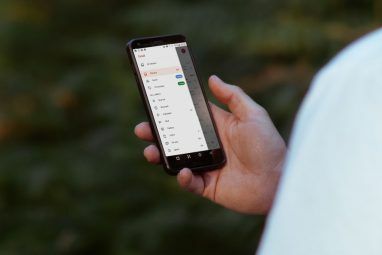 On May 19th, Google updated its popular Android Gmail app to include new features like the ability to save attachments to Google Drive, in-line spam email explanations and more. It was only the week before that Google announced that its Gmail app was the first Android app in history to ever cross 1 billion downloads from the Google Play store. A week later, Google released version 4.8 of that app – a move likely to drive that download total even higher. All of the new features added to the Gmail app are centered around ease of use. Downloading attachments from your Gmail account just became easier – you can now save attachments directly to your Google Drive account without the need to use any memory on your phone itself. One click transfers attachments. Accessing different email folders or other email accounts is as simple as flicking your finger to the right from the left edge. Google has added a much-improved side navigation menu that lets you quickly navigate through all of your mail, wherever it’s stored. Most mobile email clients in past years have been limited when compared to their web-based counterparts. With this latest update, Google just pushed Gmail closer in functionality to its online app. Google first offered the ability to save attachments to Google Drive in its web-based email client in November of 2013. Now, six months later, that feature is available in the Android app’s latest release. In addition, whenever you browse your spam folder in the new Gmail app, you’ll see a short note explaining exactly why the message ended up marked as spam. Another usability feature added to the new app is the Right-To-Left (RTL) support, which allows users who make use of Arabic, Hebrew or Persian written languages to configure the Gmail interface to read from right-to-left, rather than left-to-right. This setting also makes the one-swipe left edge menu switch over to the right edge for RTL users. Previous versions of the Gmail app were also a little tedious to browse through, particularly if you used multiple accounts within the same client app. Now it’s faster and much easier to navigate through your menu items by flicking a finger from the edge of the screen. This provides email users with the ability to flip quickly back and forth between not only different email accounts, but also email labels and your email settings. Version 4.8 of the Android Gmail app is now available for free at the Google Play store. If you already have an older version of Gmail installed on your phone, just visit Google Play, find the download page for the Gmail app, and click on the “Update” button. 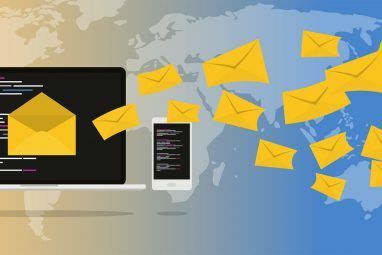 Yet another update to this Android email client The 10 Best Email Apps for Android, Compared The 10 Best Email Apps for Android, Compared Email on a smartphone? 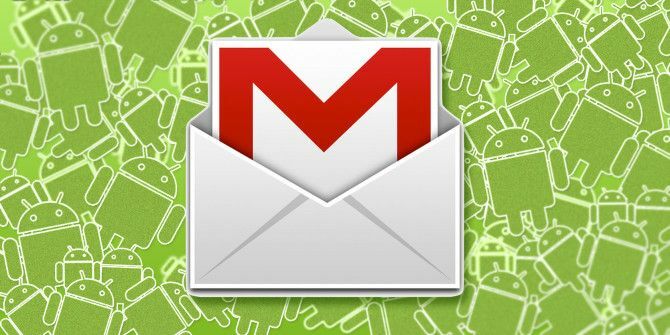 Use one of these excellent email apps for Android to make the experience more productive and enjoyable. Read More – one with a rapidly growing user base – indicates that Google Mail, and specifically the mobile client used to access your account, is likely here to stay for the foreseeable future. Explore more about: Gmail, Google Drive.